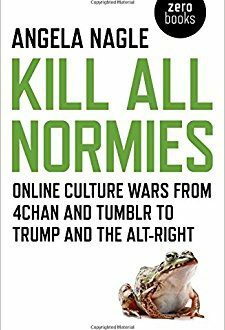 This book is an account and analysis of the online rise of the so-called “Alt-right”. 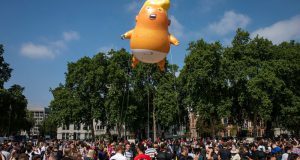 In the context of the rise of right-wing populism – epitomised by Trump’s election to the US Presidency – the Alt-right have developed as a new package to promote the spread of old ideas like White Supremacy, and in some cases Fascism and Neo-Nazism. The consequences of the re-development of a fascist movement have been shown most graphically recently in the events in Charlottesville and the murder of Heather Heyer. A study of the Alt-right, including their differences and similarities to the classical far right, could be very useful at this time. However, there are major issues with Nagle’s description of the far right, and more especially in her analysis of the causes behind its growth. Nagle makes much of the Alt-Right’s heavy use of irony and its “transgressive” style which she says ‘’made it hard to know what political views were genuinely held”. She argues that this desire to shock and confound social norms distinguishes them from the traditional right, which often emphasises tradition, propriety etc. She then goes on to criticise those on the left who promote “transgression” for its own sake, arguing that these approaches can just as easily be used by the right. This is interesting, but the content of political ideas matters much more than the style in which they are presented and it is not made clear that the Alt-right represent anything other than far right, fascistic politics with a new face. Despite their rhetoric, the Right has never upheld “tradition” or “order” in an abstract sense but has instead defended traditions, rules and institutions which maintain the capitalist profit system. This has frequently included racism, sexism, homophobia and other forms of bigotry. In this sense there is much less new about the Alt-right than Nagle indicates. But it’s clear also that she vastly underestimates the extent to which backward ideas of these kinds are still pushed from the top of society and by “mainstream” conservatives. Referring to the traditional, conservative religious right, she claims that it is “the only force described here that really has died.” It is baffling that anyone can think this, given the wide-ranging attacks on abortion rights taking place in many US states, and the fact that someone like Mike Pence holds the US Vice-Presidency. Indeed, the Religious Right, the Tea Party and similar strands of conservative activism did more to create the political climate which saw Trump elected than the still relatively marginal Alt-right. 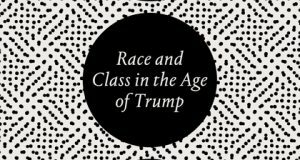 The book lays heavy emphasis on a critique of what she sees as an intolerant, unthinking identity politics on the left. She claims it has “undoubtedly [driven] so many young people to the right.” Certainly, a debate should take place on the left about Identity Politics and the ways in which it can place undue emphasis on individual behaviour, underestimate the ability of people to fight together in solidarity and its lack of any real strategy for ending oppression. But Nagle’s criticisms are very unbalanced. She has nothing positive to say about Black Lives Matter or about the resurgence of a new feminist movement in the US and around the world. These movements have been an opening to radical politics to countless young people, in particular women, LGBTQ and people of colour. While the postmodernist ideas of Identity Politics are often problematic, movements against oppression are vital in the struggle against the capitalist system. Instead, she talks about a campus-based identity politics “in which everything from eating noodles to reading Shakespeare was declared problematic”. It is a mistake to focus only on these extreme aspects without recognising the broader positive of the redevelopment of anti-racist and anti-sexist movements. All such movements throughout history have faced a right wing backlash- it can’t be blamed simply on the “Identity Politics” Nagle describes. Nagle’s approach leads her to misrepresent a number of episodes, to paint a picture of an intolerant left which cannot engage politically with the ideas of the right. For example, she talks about the Berkeley protests against Alt-right speaker Milo Yiannopoulos. She claims this represented “censorship” and a failure to “challenge him on the level of ideas.” She omits to mention that Yiannopoulos intended to use his platform not just to express his ideas but to name undocumented students at the university, setting them up for deportation. Overall, Nagle’s analysis lacks any sense of context. She overestimates the importance of the “online culture war” she describes, saying that they “formed the political sensibilities of a generation”. This is an exaggeration. For someone who talks positively about “materialist”, class-based socialist politics, they don’t seem to factor into her analysis much and the development of political ideas is described pretty much in isolation. 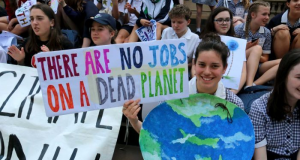 There is no mention is the book of the world economic crisis of 2008 or of the unique problems facing young people in the neoliberal gig economy for example. These played far more of a role in shaping the politics of this generation of young people. The Alt-Right and the far right generally are emboldened and a real threat. Class and socialist politics are also on the up, and offer a real strategy for challenging the right. Unfortunately, this book is largely a missed opportunity to contribute to that challenge.